Dear Mr Watt why are you so grumpy? Dear Simon. I can assure you it’s not that I’m grumpy, it’s just that everybody else is too cheerful. Hmph! 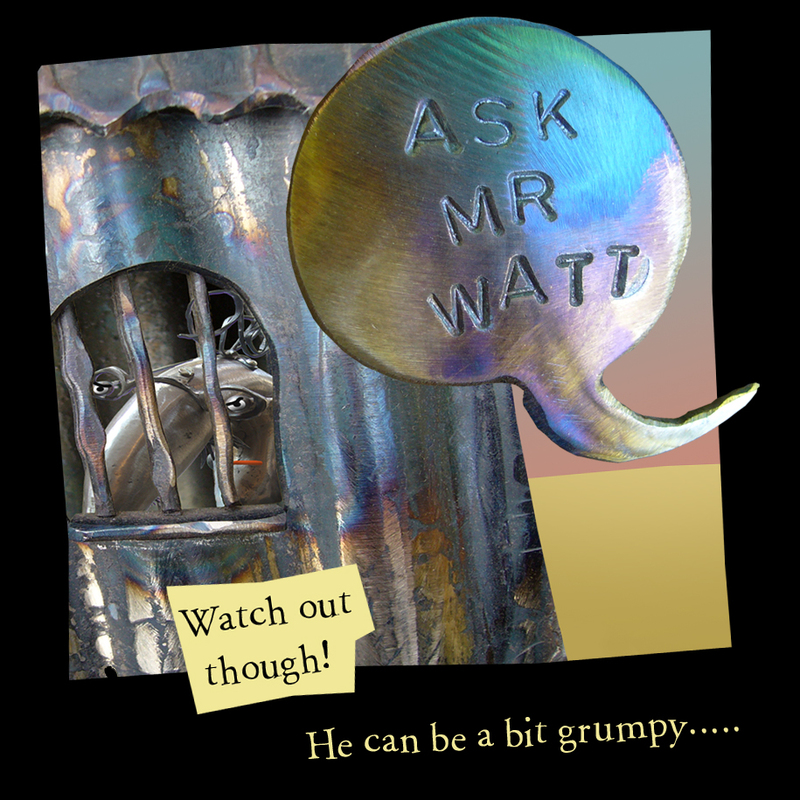 Dear Mr Watt, Why are you always so grumpy? Why aren’t you happy any other time? Dear Gina. My inventions? Go wrong? Cough!cough!splutter!splutter! I can assure you it’s other peoples misuse of my wonderful inventions that causes the problems. If everybody left them alone they would all be fine!! My little grey cells are MUCH greyer than yours I can assure you. My brain is made of the finest carbon steel and I should know – I give it a good wire brushing every morning and every night – my tube of brain-paste is never far away. If my brain was unravelled it would stretch all the way to the dustbins round the corner -THATS how brainy I am! When people see me coming they shout “It’s a no-brainer” It means I’m so clever, it goes without saying. (At least, I think that’s what they mean …) erm….Oh! Outrageous! Hi Simon – metally unstable? Are you insinuating I have a screw loose – or am a little nutty?? Outrageous! 1979!! Such a long time ago – Good to hear from you! Why are your glasses so small?? Thank you for your question. My glasses are small in order to make my head look very big, so people think I am even more clever than I actually am (which is very clever). Also, I have no ears, so any bigger and my glasses would fall off.